Interview: Richa Chadha On Working With Vivek Oberoi, Inside Edge And Much More! Bollywood actress Richa Chadha is one of the finest actors India has seen. From Fukrey to Gangs of Wasseypur to Ramleela or Masaan, Richa has always delivered extra ordinary performance. The powerful lady is back again with another intense role but this time for a first original web content. 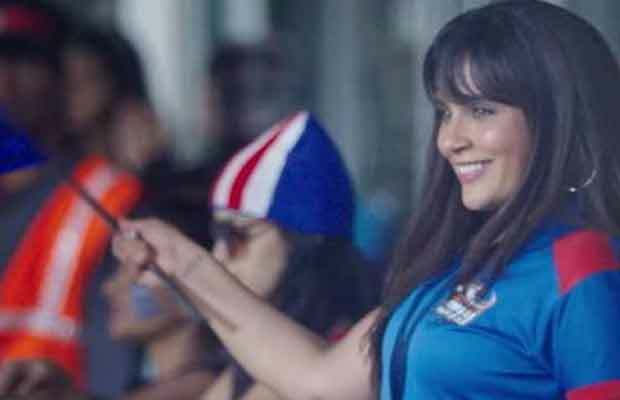 Farhan Akhtar’s debut web series, Inside Edge, set against the backdrop of league cricket, see Richa Chadha playing an actor-franchise owner. In an exclusive interview with Business Of Cinema.com, Richa Chadha spoke about being a part of something new, working with Vivek Oberoi and much more. On if original digital content slowly taking over TV and other traditional mediums? I think it’s too early to say that because TV has been here more times than cinema. There won’t be a shift too early, it will take time. But it’s true, digital is growing. People are releasing single on YouTube. Inside Edge is a show produced by Amazon and for Amazon and you know how large their subscription is. That’s how it works. On audience’ rave reaction to the intense trailer and her strong character. On picking only intense characters? Roles are not just as role plays. They are complex and there’s so much to do. In Inside Edge, it’s a tough character. It’s a very interesting character to play. It is easy to come up with original content only because there are no limitations or Censorship issues? Of course, it helps that there is no censorship but that’s not the only reason why it is being made on digital. It is tapping the audience who are watching daily soaps with no option. Its like we have to watch the daily soaps or we have to watch foreign content. This is for the first time that is done only for the India that is exciting. 3 Storeys is coming out on 25th August, again with excel. It’s a beautiful film…i have a very smallish role but then its divided into 3 Storeys. Its like 3 Storey in a Chawl. Each Storey has a new story. That’s the film about. Her views on trolls target Deepika Padukone, Priyanka Chopra, Fatima Sana Shaikh. You know the thing is there’s lots of unemployment in the country. So some people need a job, so they get hired as trolls. So they do that only. Abh kisike pet pe kya laat maarna, yehi karke they are earning let them. It doesn’t make a difference. How do trolls affect your and my life? They make disgusting things and show from where they come by talking badly about others. I don’t pay any attention to them. Trolls are irrelevant and losers. Inside Edge is a web series launched by Excel Media & Entertainment in association with Amazon Prime Video. Excel Media & Entertainment have also few more interesting shows with Amazon Prime in the pipeline after Inside Edge. Inside Edge is helmed by Karan Anshuman, who made his directorial debut with Riteish Deshmukh-starrer Bangistan. The entire series will be available online on Amazon Prime Video from July 10. Previous articleWatch : SS Rajamouli Asked Prabhas For Baahubali 3, His Reaction Is Hilarious!